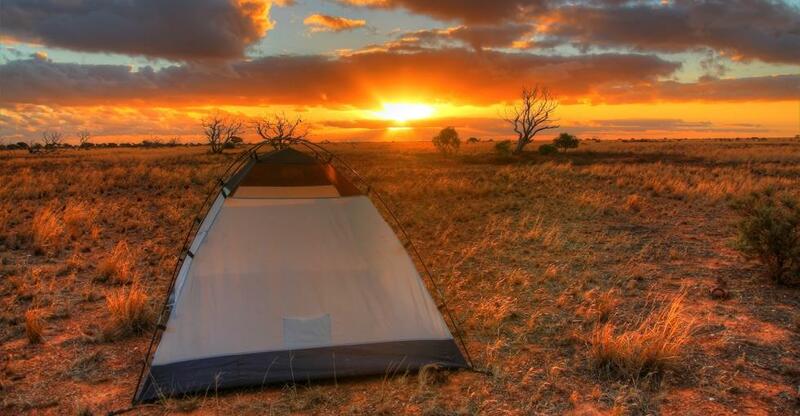 The idyllic dream of camping out under the stars is alive and kicking in Australia. The industry is worth $1.8 billion and growing as more people turn to the great outdoors to escape from the hustle and bustle of increasingly busy lives. If you’ve been thinking about buying a camping spot for a tree-change, now is a good time to stake out your pegs. With the right advice, in-depth research and a passion for the lifestyle, it could be the perfect decision. Back to basics: Is the sector right for you? Running a camping site has many rewards: you’ll almost certainly live in a beautiful place surrounded by nature, contributing daily to one of the happiest times of year for many people. You could be working seven days a week. By its very nature, running a camping site means working unsociable hours and being available for customers whenever they need you – day or night. It's a daunting prospect for many people. It’s a fairly physical job. You will probably have to do much of the site’s maintenance yourself – depending on how many staff your revenues can sustain – which is fine if you don’t mind a bit of hard yakka and getting your hands dirty, but it might not be for everyone. Service with a smile. Perhaps one reason you’re thinking about buying a tourism-related business is because you enjoy being sociable. Talking to folks from all walks of life when they’re often at their most relaxed is one of the most rewarding aspects of the job – for the right person. Plenty of campsites get by with less than congenial owners, but if you’re not a people person then it might not be too helpful for your reputation on customer review websites. Choosing the right franchise is about identifying the goals you have in common with a given business opportunity. Perhaps the franchise is forward-thinking in how it keeps up with changing evolving demand (eg, introducing premium ‘glamping’ accommodation when the trend emerged), using social media and elevating its ranking on search engines and accommodation directories. Think about how to align your skills, experience and goals with the franchisor’s vision for a successful application. The easiest way to generate a shortlist of target campsites for sale is to trawl BusinessesForSale.com and filter the options according to your preferences – real property/leasehold, accommodation included, owner financed and so forth – and of course your budget. More than many sectors, location is paramount for your camping site. There’s a sweet spot: somewhere far enough away from towns, cities and highways so you can see the stars at night in tranquility, but close enough to a major hub that you’re easy to find and within easy travelling distance. And the more tourist attractions you’re close to, the better. Whether it’s beachside, in a rainforest or adjacent to a lake or river, a place of natural beauty is a major draw card. More attractive locations obviously command a higher asking price, however. What type of campsite is right for you? Unpowered site: The cheapest option and the traditional back-to-basics pitch – usually a patch of grass for tents and maybe an area of firm ground for caravans/self-contained vehicles. Powered: A slightly more expensive option where people pay for electricity to power their caravan or campervan. Cabins: The most profitable option but most expensive to maintain; cabins are the luxury choice for budget holidaymakers. Tourist Park: Often some combination of the above, with additional amenities like swimming pools, playgrounds and a clubhouse. Often owned by a franchise and a haven for families. Long term: Long-term rentals are a way to generate income that remains steady during off-peak periods. Increasingly, camping sites also offer a ‘glamping’ option: camping in yurts, tipis, tree houses and other luxury accommodation with home-style luxuries like a proper bed, heating and a hot shower. Although expensive to buy, glamping sites benefit from a growing trend that offers camping for people who don’t like camping. It’s important to find out why the vendor is selling and how long it’s been on the market. For example, if the site has had four owners in five years, chances are something’s not working. Is there a new caravan park or campsite in the area? Is the area or region falling out of favour with tourists? Is the site’s tranquility under threat from construction plans – for nearby housing estates or a major new highway, for instance? Is the local council revoking a permit/licence? (If the campsite doesn’t own the land) has the landowner recently raised rents? Visit local pubs, cafes and shops and talk to residents to get some clues about the context of the sale. Google the campsite’s name for evidence of bad publicity. Search the area name with the words ‘tourism’, ‘construction’, ‘development’ or ‘campsites’ on Google News. Check the campsite’s ratings and recent reviews on accommodation review sites. Ask the current owner for paperwork relating to accounts, taxes, leases and the like. Once you’ve considered all of the above, found the perfect business and concluded the purchase, you can then start the fun part: making your camping site a more relaxing and memorable experience for customers, while you enjoy the good life. Interested in buying a campsite? Take a look at our camping and caravan sites for sale.